We are living in dynamic times of change. We are seeing our thoughts made manifest more rapidly now than ever in the history of man. The question is, what old thoughts are continuing to hold us in "lack, unworthiness and distrust"? How do we make this SHIFT in thinking to discover our True Purpose here and claim the abundant life we know to be ours? How do we connect to Joy for more than fleeting moments? How did we get so far away from our center? How do we reclaim our balance? What impact will 2012 have in our lives? What does it mean to AWAKEN? How do Miracles Occur? These are just a few of the questions we will explore and share insights into to help you "cross the desert, part the waters and find your promised land." Join “Divine Heart Specialist™”, Hal Price as he takes you on a sacred journey to the heart to reveal these and more questions. Bio: Hal Price is a Certified Professional Empowerment Coach, a Certified Conscious Language Facilitator, a Professor of Spiritual Counseling, and Ordained Minister and Master Numerologist. 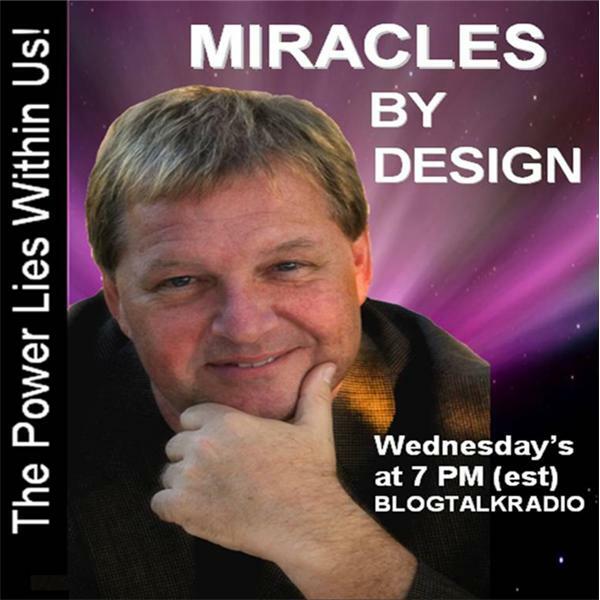 Hal has acquired and lost fortunes, loved and learned forgiveness, controlled and surrendered to his Higher Power, and during the entire process, he has found himself and has powerful stories to share with his listeners on how to DESIGN YOUR OWN LIFE OF MIRACLES. Miracles By Design: The Great Galactic Alignment is NOW! Meet Norma Casas, Author of "The Power of Us"
Miracles By Design: The Power of Our Words to CREATE!